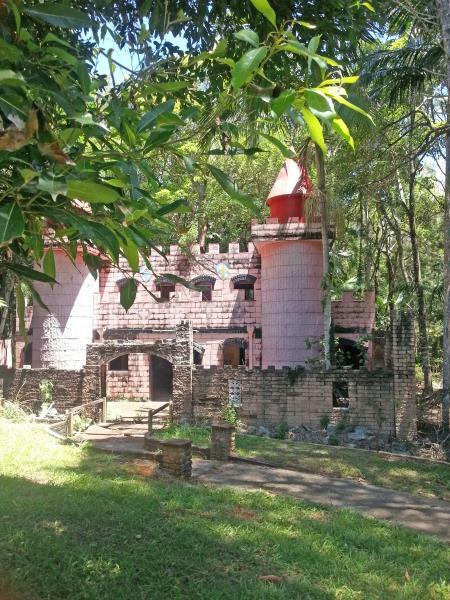 THE fate of one of Port Macquarie’s best-known former tourism attractions remains up in the air months after it went on the market. Tom James of Port City Real Estate said there had been some interest in the famous landmark since it went on the market. “The property has been listed for around six months,” Mr James said. “In that time we have had some good interest from varying sources. “While Facebook interest and fans of Fantasy Glades have voiced many and varied opinions on saving and resurrecting the former site, this has not eventuated to one inquiry. “The Koala Society made an offer to purchase the site in the early stages but have since purchased an alternate property. The site went on the market earlier this year after plans by the current owners to resurrect the popular former attraction fell through. However Mr James said interest was still keen for the 1960s drawcard with a Facebook site dedicated to the park attracting more than 5000 likes from people who remember Fantasy Glades in its heyday reminiscing and sharing pictures from the attraction. Mr James said the eventual purchaser of the 16,800 square metre site would need to work closely with council to see their plans reach fruition. Next articleWin a Kids Globber Scooter – and one for Mum!